Another great night of Sons of Anarchy on FX! 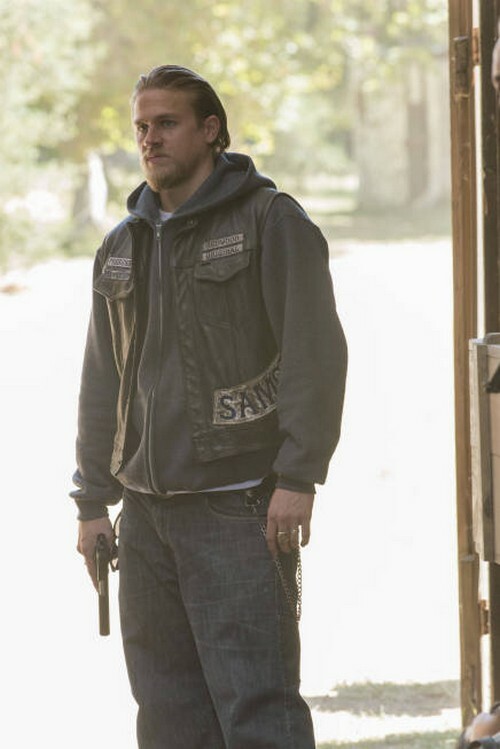 Tonight our favorite character SAMCRO’s new President Jackson ‘Jax’ Teller (Charlie Hunnam) makes arrangements to take the club in a different direction. Unfortunately, this season of SOA is almost over! With only two episodes left in the fifth season, you can bet your bottom dollar that the drama will continue, and who knows how the producers are going to end this season. Anything can happen with this show. This week the promo clip reveals some action, and next week’s episode promises to be one that will leave you on the edge of your seat. Watch the preview below while you wait for the recap and let us know what you’re excited about! How do you feel about this season of Sons of Anarchy? Is it going well for you? What do you want to see happen next as we edge up close to the finale? SONS OF ANARCHY SEASON 5 EPISODE 12 LIVE RECAP HERE!